This summer, I started watching the series Reign. Adelaide Kane had been announced a guest for Wolfcon. That triggered both Liv and me to start watching Reign. I loved it from the very first second! I couldn't stop watching. After Wolfcon, Liv & I were discussing who else we would want to see from the series at a con. We were speculating a lot. 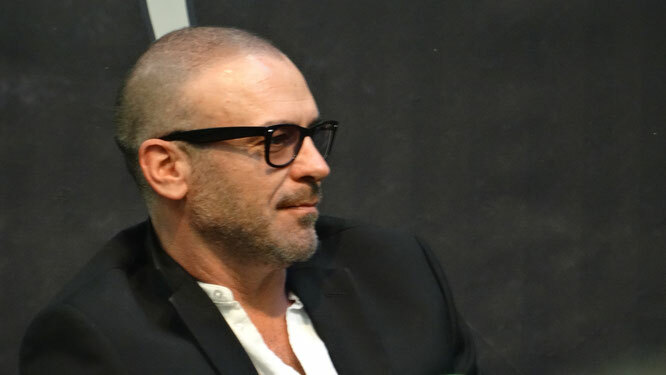 And our top choices were definitely Alan van Sprang (King Henry) and Craig Parker (Stéphane Narcisse). Later that day, we checked the guest list of Weekend of Hell so far. They already had announced quite some guests, but I didn't remember them all anymore. While scrolling, I noticed a guy who looked like King Henry. I googled him, an it was him! Liv and I screamed and shouted 'King Henry is coming!!'. We were so happy! But because he was announced before we watched Reign, we hadn't noticed it before. So needless to say, we looked forward to meeting Alan a lót! Oh yes I remember that day very well. It was in the midst of the summer and we were doing about Wolfcon. We ended up talking about "Reign" and how much we loved King Henry. I remember saying something like: "How cool would it be if we could meet him at a convention?" At that point that seemed like something impossible...We got in the car and then Carola noticed Alan on the guest list of Weekend of Hell. We were screaming the entire way home. Way before the convention, I had already bought a photo op with Alan van Sprang. I was sure I wanted to have a photo with him, so why wait? As soon as we arrived at Weekend of Hell, we went to see where Alan was. This resulted in a panic attack, because we saw a lot of the actors, but we couldn't find him. We walked around 2 times and we really couldn't find him. We were already panicked and afraid that Alan had cancelled. We didn't know if we should make another round, or ask someone. That was the moment when we realized we had to look around the corner. There, we saw Tyler Mane, Naomi Grossman and yes! 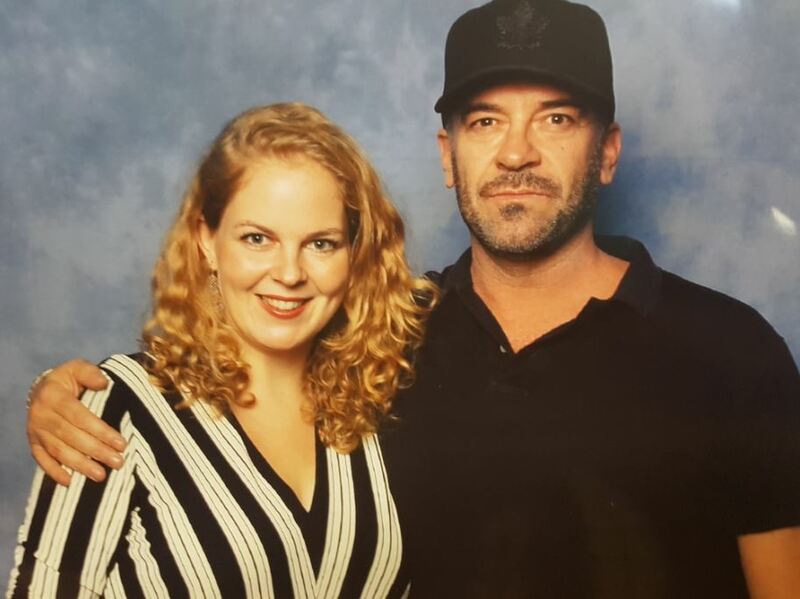 also Alan van Sprang. So in the first 30 minutes of the con, we went from panic attack to euphoria haha. Exactly, when I look back at that moment, I only remember us saying: "Where is he? Where is Alan? Haha, we were so glad we found him. As soon as we saw him, fear kicked in as well. Even though he seemed very nice, I was too scared to say a thing. I had imagined seeing him at WoH and tell him that we were looking for him, couldn't find him and how happy we were that he was attending the con. But of course did nothing of that. We did what you'd expect from us: We walked by with a nervous but big smile. And repeated that a few times. I was very intimidated and got kind of a Kim Coates vibe. When we were at our first convention back in 2014, Kim Coates was one of the guests. Although he turned out to be a great guy, we were intimidated by him the whole day. Just like back then, I did not even dare to take a picture of Alan. We had a bought a photo op for Sunday. So on Saturday we mainly saw Alan from a distance. Of course we attended the panel! It was a bit of a pity that it was a specific 'Saw'' panel with Dina Meyer. The interviewer mostly tried to talk about Saw with them, while Alan had a small part in Saw 3. So there wasn't too much to tell about that. But he has done só many interesting things. I would have loved to see more of that. I like hearing about Reign & Shadowhunters! Agree, it was a shame we did not hear him talk about "Reign" some more. But hey, it's a horror convention. Exactly, I love it when there's a short queue, you just don't have the time to drive yourself and each other to madness. Now it's just a short period of freaking out, lol. I am also very happy with the result. After that, we still wanted more. We did one more round of looking at the merchandise to 'overthink'. But we didn't have to think for long and rushed to his table. We went to get an autograph! We picked a moment (of course) when it was not too busy so we would have time to chat. And we did! I was so happy. Alan was great. We talked about Reign & Shadowhunters. We told him about meeting Adelaide and how active she had been in Amsterdam. He was surprised about that, especially when we told him she danced throughout the entire photo op. He mentioned he did not know that Adelaide. However,when I mentioned she had been drinking some wine, he answered: "Aaah, thát Adelaide". He also told us he's actually Dutch. Or well, his father is Dutch. But Alan hasn't been in the Netherlands yet. (And he would like to). So.... Dutch cons.... How about inviting Alan?? Haha. He also told he loved playing King Henry in Reign. It was a very versatile role. There was always something going on and it wasn't predictable. He mentioned that he thought he was just going to play the 'mad king', but it turned out to be so much more. He loved playing Henry, because he could go all the way. Every week, Henry slipped into madness some more and he said it was great to play that role. 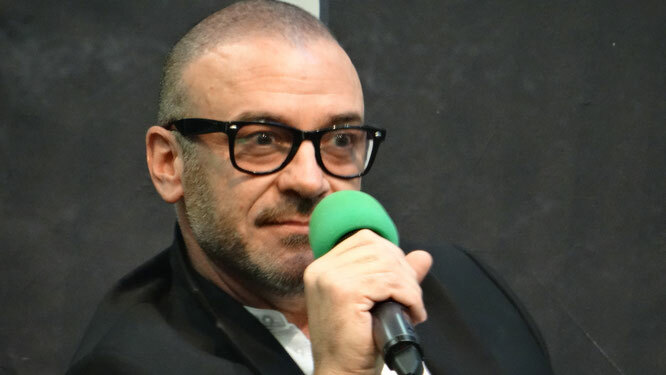 I also told him I loved his chemistry with Catherine (played by Megan Follows). And Alan mentioned how much he loved working with her. He said "she is a star and she really kept that show going". After having quite a long chat, Liv & I left as 2 little happy birdies haha. 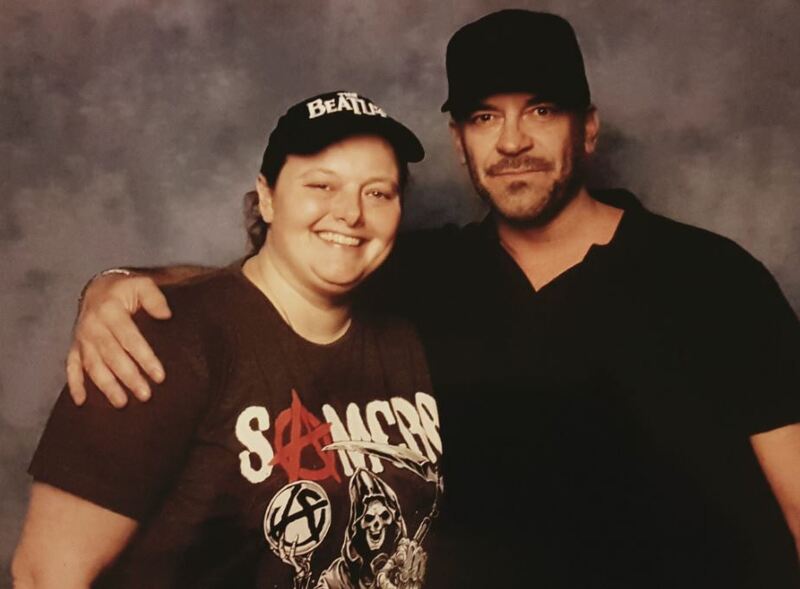 It was great to meet Alan at Weekend of Hell and I'm so glad I got an autograph & photo op. Hell yeah! All hail to the King!